It doesn’t take more than a few minutes after each ride to keep your Sea-Doo watercraft looking like new after a freshwater ride. As soon as I load up and tow my units out of the launch area, I use a soft cloth and one of Sea-Doo’s XPS line of cleaning products to remove water spots and other marks from all deck surfaces. I also clean the mirrors, gauge cover and seat. Performing this chore immediately after a ride has three advantages: one, marks come off easily when they are fresh, not having a chance to dry or set; two, this cleaning process gives me a chance to do a visual inspection for any new scrapes or damage that I might not otherwise notice; and three, the PWC looks great each time I start the next ride. Some riders have trouble developing the knack for clips. On each side of the cover, a plastic clip is designed to go up between the inside of the side bumper and the hull to secure the cover in place. Find the clip, check its shape and then feel with your fingertips under the bumper for the inner ridge where the clip attaches. Place your thumbs at the base of the clip and push it up between the bumper and hull, then pull gently down and towards you until you feel the clip lock into place. Finally, check that all cover zippers are closed. Now your covers won’t blow off or suffer any wind damage as you trailer. When taking the cover off, I’ve found the easiest way to release the clips is to lift the back of the cover off the rear bumper of the unit, and then go to the front to lift it off the front bumper. Lifting off both ends of the cover with the clips still attached eases the tension on them. Next, continue to lift the front of the cover over the handlebars until the only thing holding the cover in place is the clips. Go to the back again and ease the entire cover towards the rear. This sides the still-attached clips back in their slots and makes it easier to release them. Do so by pushing up and away from you with your thumbs at the base of the clip, but be gentle because if the plastic hook part snaps off, you’ll have to secure your cover with bungee cords or straps from then on. 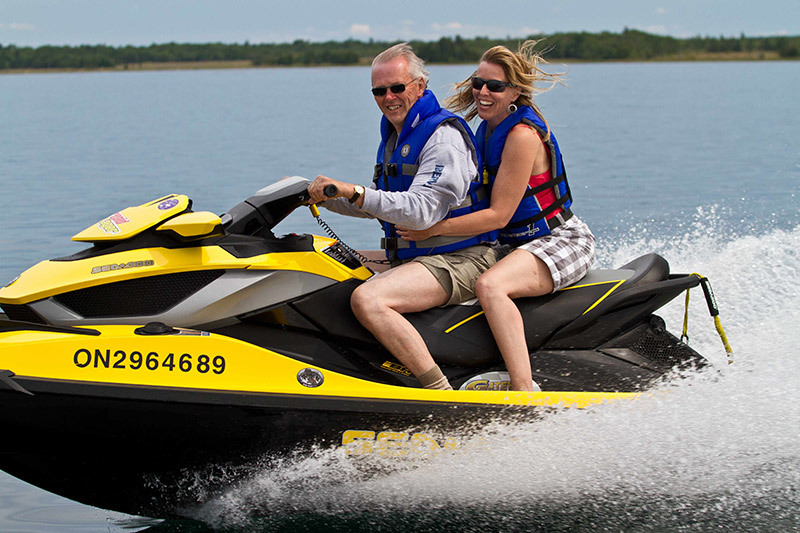 By taking a little time for TLC, you can keep your Sea-Doo PWC and cover in great shape. Talk to you next time! Nice to see someone else how takes care of their toys. I always treat my RXT-X260 like it cost me alot of money and I want it to last, because I do. Only think I would add is getting it Winter/Summerized, my dealer checks it over throughly and I know when I hit the lake its gonna run right. Thanks for your comments Brian…and thanks for taking such good care of your RXT-X 260…Cheers to many more years of fun on the water!